The chairman of a rights group in Bougainville is trying to stop amendments to the island’s Mining Act which would give a foreign company exclusive rights to large scale local mining. James Onartoo, who chairs the Bougainville Hardliners Group, said the island’s civil war was caused by foreign control of large scale mining on the island. Mr Onartoo said his group is opposed to any further large scale mining in the autonomous Papua New Guinea region. 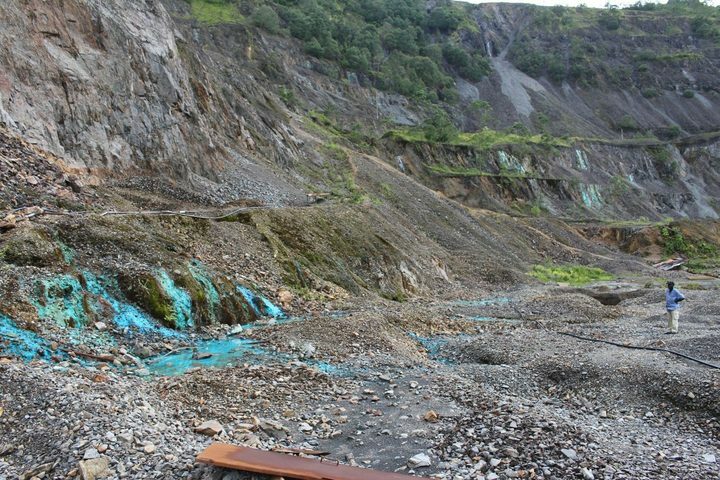 His comments come as the region’s government plans to re-open the long shut Panguna copper mine. It is seeking to change the Mining Act to accommodate an Australian investor with whom they plan to start a new company called Bougainville Advance Mining. Their plan is for Bougainvilleans to be the majority owners of the company. Mr Onartoo said Bougainville’s 350,000 people don’t need large scale mining which only stands to benefit foreign entities. He said the focus should be on sustainable alluvial mining which can be more easily regulated by the autonomous region’s government.